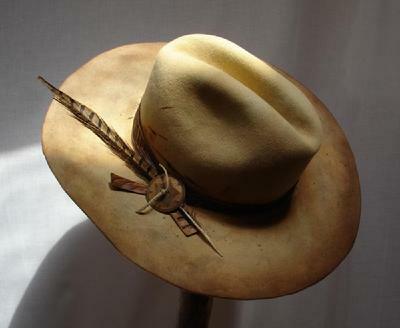 Inspired by Hollywood's portrayal of the wild and beautiful West, this collection of cowboy hats speaks to those who have yearned to "live" the stories told in the tradition of the Great Western Epic Cinema. 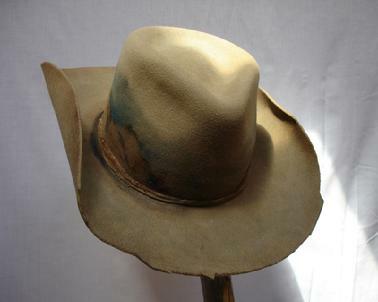 Ingredients of hats; Fur felt body, hand dyed, painted and stained to create variations of shading and color. 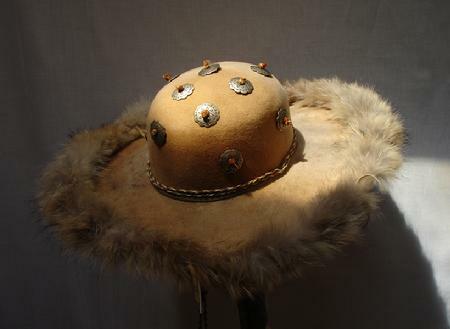 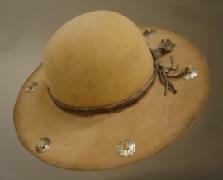 These variations are intentional and add to the unique artistic characteristics of each hat. 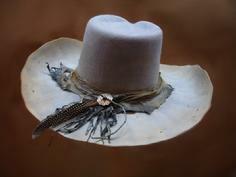 Art work and embellishments might include silver metal conches, hand dyed feathers, hand dyed deer suede, leather tooled hat bands, and hand painted iconography of the old west. 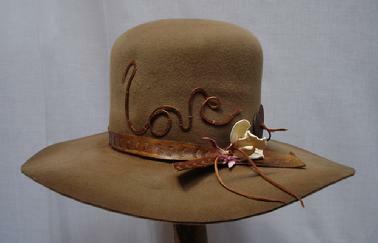 Lucky Blue Heaven ~ 50 X Beaver~ $450. 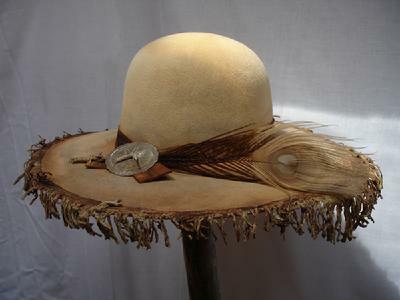 The Plains Indian Scout, $340. 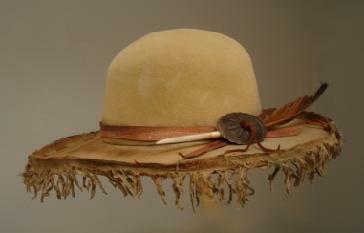 The Mesa, 50x beaver, $475. 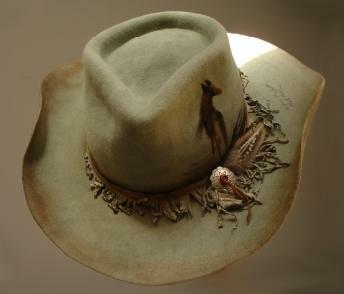 Each hat is a work of wearable art painted with beautiful images of Montana, wild horses, and sunsets. 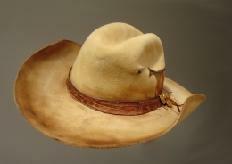 The "Hollywood extra" look is incorporated right down to each hat's "bullet holes", "sweat stains", "soil marks", and hand tooled leather hatband. 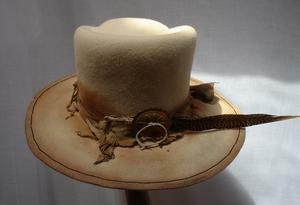 A bonus photograph of Montana comes inside each hat."